For the first time ever, a federal agency has been granted authority to investigate whether the binding arbitration policy that the Menards home improvement chain forces on its employees is legal. A U.S. district court ruled February 18 that the National Labor Relations Board (NLRB) has the power to determine if the corporation’s requirement that employees resolve disputes with the company through binding arbitration is overly broad and restricts their right to remedies under the National Labor Relations Act. Arbitration agreements have been an ongoing issue for courts involving other corporations, but this is the first time Menards has found itself under the gun. The action by Magistrate Judge Donald Cherry for the U.S. District Court in Indiana – if you read underneath the confusing legal back-and-forth – leaves it to the NLRB to investigate and determine whether the mandatory arbitration agreement Menards requires its employees to sign steps into “protected concerted activities” deemed constitutional by the NLRB. Rather amazingly, given its decades-long record in resisting unions, Menards – owned by billionaire John Menards, a major contributor to right-wing candidates – has never before had to face such NLRB scrutiny. 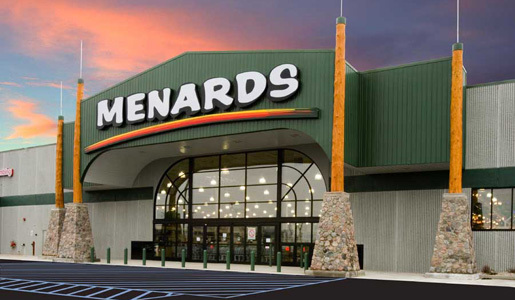 The case stems from an Unfair Labor Practices (ULP) charge filed against it in NLRB Region 18, which covers Minnesota, Wisconsin and surrounding states where Menards operates 280 stores. 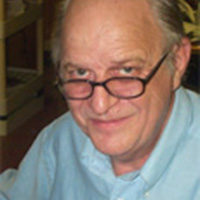 The case was launched by Seth Goldstein, a senior business representative for OPEIU Local 153. The ULP case stemmed from revelations that Menards had instituted an anti-union financial penalty practice when it hired managers. The company made managerial candidates accept in their employment handbook that they would automatically be docked 60 percent of their pay if a union was ever formed under their jurisdiction. That original NLRB complaint concerning Menards’ practices was quickly amended and expanded into an investigation of other possible NLRB violations. Menards’ contract language for all its employees – managers or otherwise – then came under closer scrutiny as more and more documents and case studies flooded in. And that is where the current case concerning arbitration agreements originated. The specifics of this case involve a former Menards clerk, Janet Payne, who believes that the arbitration condition forced upon her violated her rights under the Americans with Disabilities Act, the Age Discrimination in Employment Act, and Indiana state law. As a result of Judge Cherry’s decision, Payne’s complaint will now go back to the NLRB, which has added further charges and claims made by other Menards employees. The animus of Menards toward unions is well-documented, as is the muscle of its corporate legal teams. Menards’ pay scale, reportedly under $10 an hour for many workers, has become an issue in many communities and in several letters to the editor. Goldstein, the Manhattan-based OPEIU representative, is heavily pushing the letter campaign and calling on other Menards employees who feel injured by company practices to come forward. He is troubled by how many cities and towns around the Midwest are giving taxpayer subsidies to Menards stores in their communities without realizing it is a private company with yearly revenues of more than $8 billion, according to Forbes. Or of how it pays its workers so little that many are forced to rely on Medicaid, food stamps, and other public subsistence to survive. “It’s a lousy use of taxpayer dollars,” said Goldstein. “I’m trying to spread that message to towns that give government money to Menards.” He is reaching out to store employees and communities in the Dakotas, Minnesota, and Indiana. The NLRB, for its part, says it is conducting a full-scale investigation into the complaints against the company. Several additional areas of legal concern have so far emerged from the inquiry into arbitration practices. 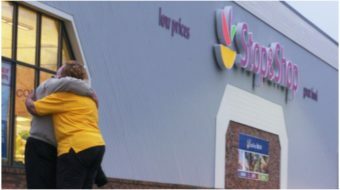 There is the aforementioned threat of pay cuts for managers who fail to stop unionization at their stores. Menards claims it no longer insists managers agree to this clause, but it also said there was no expiration date for those who signed it before 2016. Lawyers contacted for this article say that such a clause is simply too much of a temptation for managers to stray into criminal behavior in order to protect their own wages. There is also the issue of the huge potential consequences of overreaching arbitration forms which all Menards workers have been forced to sign. If word gets out to Menards workers that the company may have overstated what it can actually impose on them in terms of fines or forced arbitration, the dams of caution holding back a potential flood of complaints could be broken. Any NLRB investigation will take months. But Goldstein and the lawyers now actively involved with the complaint ask other employees potentially impacted by these policies to contact them. They intend to keep building a portfolio of complaints to add to the case brought by OPEIU Local 153.